It’s magic, I know. First a pretty ordinary grass becomes the main source of sustenance for most of the people alive on Earth. Then they learn how to turn the seeds of that grass into the food of the gods. 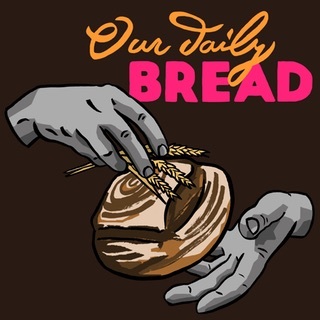 Join me, every day in August, as I dig into Our Daily Bread for the Dog Days of Podcasting with short episodes on the history of wheat and bread. I’m very much enjoying your wheat podcasts. Kath mentioned this article on vegpatchkitchen.co.uk. Clare Brewster mentioned this article on twitter.com. ckbk mentioned this article on twitter.com. Culinary Bob liked this article on twitter.com. CGN Wageningen liked this article on twitter.com. It's magic, I know. First a pretty ordinary grass becomes the main source of sustenance for most of the people alive on Earth. Then they learn how to turn the seeds of that grass into the food of the gods.